To convert your home loan to Organic Home Loan . In January 2017, Bank of Baroda introduced a new set of home loan interest rates – based on credit scores of customer. You can now take a home loan with Bank of Baroda at 8.30% per year. Currently no other bank offers home loans at this rate. Baroda Home loan advantage is a product that blends traditional home loan with a savings account. When you take a home loan under Baroda home loan advantage, you would need to open a new savings bank account linked to this home loan account. This will be a Zero-interest savings account. This means, you would not be earning any interest on the balances in this savings account. Yet the savings account comes with a huge advantage. The bank will calculate home loan interest on the loan outstanding (minus) balance in the linked savings bank account. So while this account doesn’t pay any interest, it effectively pays interest at the home loan rate which is more than twice of what any savings bank account would pay! Owning a property and servicing a home loan is a very expensive matter. It takes a lot of effort and a number of years to regularly save and pay off your loan. So, you should use every option to save your hard earned money. Currently, Bank of Baroda is the only bank offering an interest rate of 8.35% per annum. So this in itself makes it a good option. Baroda home loan advantage is a great product for you, if you can save money regularly and keep it in the savings account. If you are salaried, you may be able to supplement your savings with lump sum payouts like bonus every year. Even in the early years of your career, you may be able to save some funds every month.. The effort will go a long way in saving interest over the long term. Most banks charge a slightly higher interest rate on their hybrid products like this one. However, Bank of Baroda home loan interest rates are the same for their regular term home loan and Baroda Home loan advantage, This means, you could be eligible for an interest rate of 8.30% per annum on your home loan. If you have been regular with all your loan repayments in the past, then your score could easily be above 760. You can find out your CIBIL score free of cost. This means firstly you are getting a home loan at the lowest interest rate. On top of this, you can save more interest if you can put aside money regularly in the linked savings account. You can read more on credit rating and scores and re-look at your credit history. Baroda Home loan advantage linked savings account does not give you any interest on money saved. However, the money that you do save here is completely accessible. You can use this savings account just like any other. For young professionals, this must come as a big relief. In the early working life, it is usually difficult to block a large part of your savings. So it becomes difficult to put a large sum in fixed deposits or long term investments. In turn, the returns you make will not be very significant in terms of actual money. In this light, a product that lets you have unrestricted access to your savings would be quite a good option. This way, even if you are able to keep aside a large amount for some duration every year/month, you would be savings some interest on your home loan. When you take a home loan, you end up paying a lot of your savings on interest. So if in some year you earn a bonus or have some windfall gains, it makes sense to consider repaying some part of the loan. However, if you may need this money some time in future, home loan advantage account comes very handy. When you put this money in the linked savings account, you would be saving interest. Whenever you need to use this money, you can always withdraw. Under the income tax laws, if you earn more than Rs.10,000 interest on your savings account, you would be taxed based on your slab. At the prevailing rate of interest, if you keep more than Rs.2,50,000 in a savings account, you would be attracting taxes. Baroda home loan advantage offers you a zero balance savings account linked with its home loan product. This means, you would not be technically earning any interest on the funds in this account. So there will be no tax due. Added to this, there is always the benefit of tax deduction on home loan principal and interest paid during the year. Baroda home loan advantage or any offset home loan product are a good option if you have a habit or resources to save funds regularly. If you are in the early stages of your career, you may not be in a position to lock your funds in long term savings. In such a case, a free-access savings account that can also helps you save home loan interest can be a boon. A great option is to maintain the linked savings account as your salary account. Many people also like to have two savings account – one for their expenses and one where they can put away money for vacations, school fees, large purchases etc. If you are one of them, you could use the linked savings account to put away money for such purposes. Until you need to withdraw the money for your reserved expense, you would have saved some home loan interest! Smooth Hassle Free Process Had A Great Experience With Them. Hi, I am from hyderabad and took a home loan with a help of loanyantra for me it was a hassle free process and I feel very good about the service they have provided me, I wish loanyantra a great success. Assistance And Help As Co-applicant Is From Different State. I was looking for home loan and some assistance in this process, I come across with my friend who is a existing customer of a Loanyantra, He introduced it to me Loanyantra team made my process of home loan very smooth,I would always suggest for loanyantra as, I had a great experience with them. Looking For Smooth Process And Some Good Consultant. 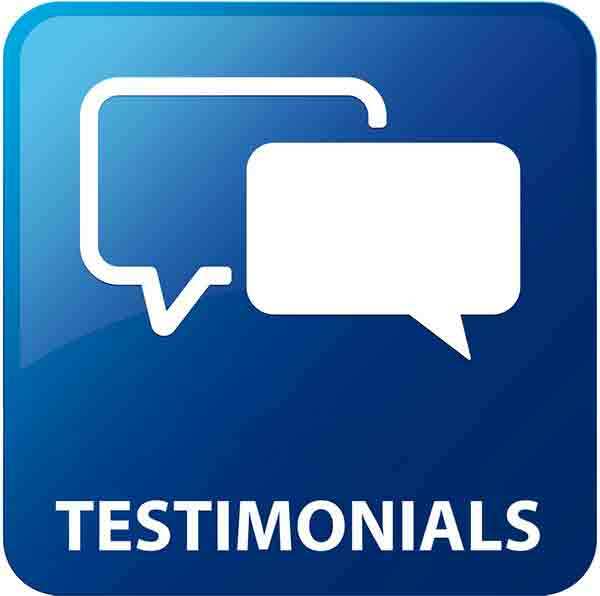 I work in one of the IT Company, I wanted to process home loan and looking for smooth process one of my friend suggested me loanyantra and when I reached out to them their representative was very friendly and they cleared all my doubt the y have given me a good advice and overall experience of Loanyantra was fantastic, I would thank Loanyantra team who helped me they all have done a great job. Smooth Process and Quick Disbursements. I had a great experience they gave me quick response through mail ,sms, and phone call it was a great work. I would always suggest loanyantra. Thanks Loanyantra. Need Help To Get Home Loan And Loanyantra Helped In Hassle Free Process. I purchased a property in hyderabad ans avail a service from Loanyantra.I was finding it difficult to get home loan, But Loanyantra helped me and my loan was processed hassle free they have provided some bonus such as cash back, I would thank loanyantra for such a great experience.